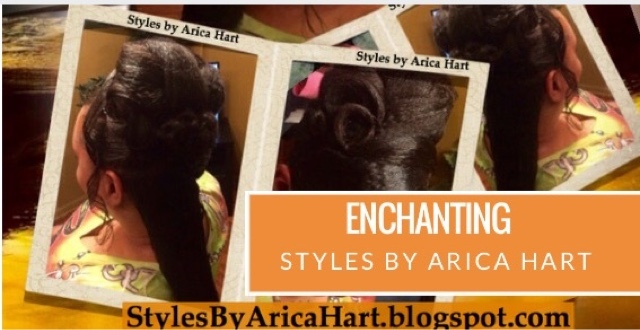 Try an enchanting hair style to get your day and night started. Let your hair flow in the wind; meanwhile, letting the crown of your hair be sculpted into a pretty up-do style to fit your face. 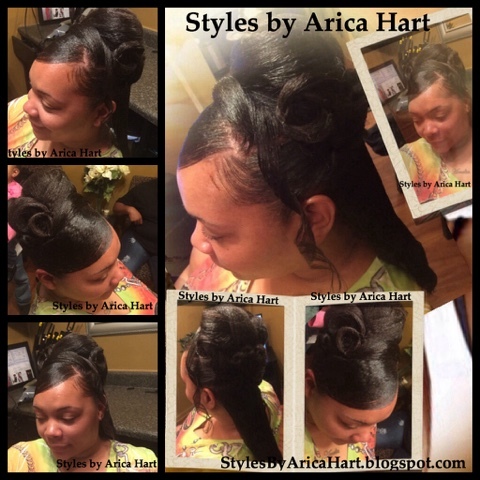 This young lady is rocking a hair Styles by Arica Hart. Are you ready for yours? 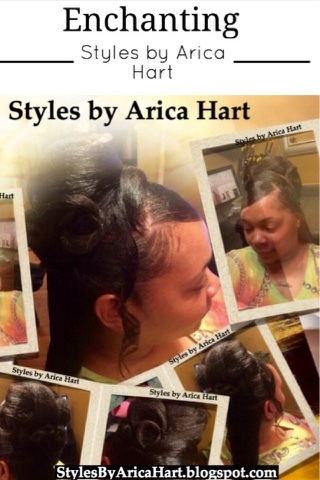 Give me a Call to schedule an appointment for your hair Styles by Arica Hart. 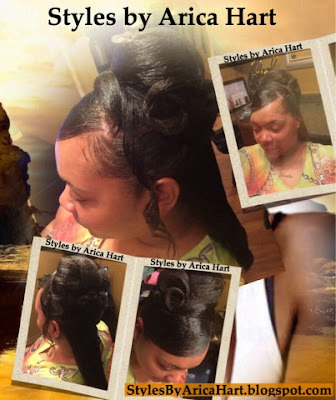 Pincurl hair Style for an enchanting evening.